It was a beautiful day in sunny Kailua-Kona when Kelly and I met on the small beach parking lot across from King Kamehameha Beach Hotel to cruise the Kona Coast. The tourist action was in full tilt mode as a cruise ship disembarked their passengers. Lei makers were peddling their wares and tour guides were propositioning tourists. It was not 100% sunny weather as a slight overcast was just enough to take away the harsh glare of the tropical sun. Not too hot – basically it was perfect for an afternoon of great riding. We cruised along Alii Drive checking out all the great places to eat, the good looking women and the sunny beaches that are intermittent along the 2 mile stretch. After downtown Kailua-Kona we begin passing Kahului Bay, Holualoa Bay, and Magic Sands Beach. Magic Sands is named such because the sand comes and goes on depending on the weather and intensity of the surf. Some days it is nothing but a rock outcropping and other days it is a beautiful sandy beach. Alii Drive eventually dumps you onto Highway 11, which merges into Highway 180. Highway 180 winds along the coast at 35-45mph – it’s a great leisurely cruise that really lets you soak up the scenery and fresh air… Hawaii riding at its finest. Although this road is narrow and winds through various small towns that inevitably slow down traffic, this adds to the enjoyment as it forces you to slow down and enjoy all the great sights: coffee trees, old historic buildings, local residents, fantastic landscape and great views. We eventually got to the turn off to our Kealakekua Bay – Napoopoo Road. This road is a fantastic ride as it winds down to the coast with many twists and turns. The views overlooking the Bay and south along the Kona Coast are spectacular. After a few miles you eventually get to Kealakekua Bay. This is simply a stunning sight. The bay and surrounding historical state park is amazingly pristine and gorgeous. 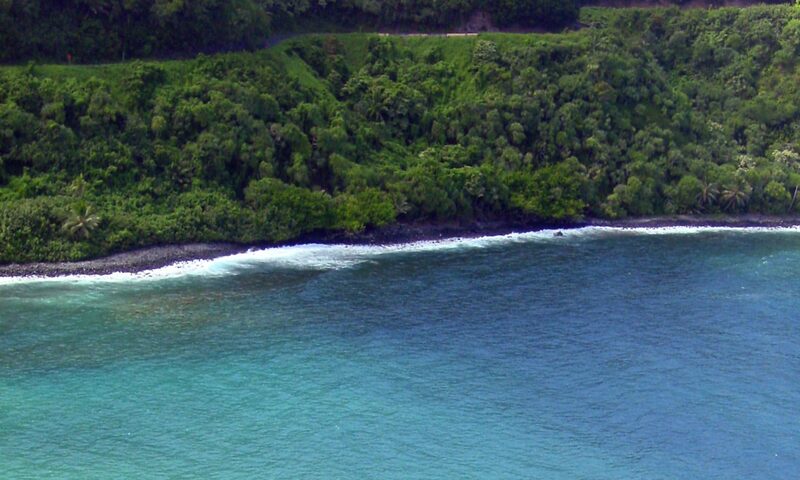 Kealakekua Bay is the location where Captain Cook was killed by the Hawaiians in 1779. After enjoying the scenery and shooting some video we headed back up to the highway where instead of taking highway 180 back we took the old Mamalahoa Highway to Waimea. This old road is a great ride as well – it gently rolls through Big Island Country Club and Parker Ranch before finally arriving at Waimea. We show up just in time to miss the clouds rolling in… what a great ride! Aaron and I are riding over to Kona today to film some west side riding turf. There are so many great places to tour it’s hard to decide where to go first. We also plan on doing a session on dirt bikes – maybe a scramble up Mana Road on Mauna Kea Mountain. Since I share a love of motorcycle riding, especially along the relaxing and beautiful roads of the Big Island, I’ll be dedicating some upcoming posts to just that. Helping me as a guest contributor is Aaron Geerlings, fellow riding enthusiast and University of Hawaii at Hilo student. We also have an Aloha Rider page dedicated to this adventure, which includes motorcycle links of interest and a short bio to help you get to know Aaron. Hawaii as long been known for its great beaches and lovely weather, but what it’s not known for is its great motorcycle riding. Most think of it as an island (which it is), but one that is lacking in great riding asphalt — well I am here to put that myth to rest. Over the following weeks I will be introducing you to some great places to ride, eat and relax here on the island, so suit up and enjoy the show. 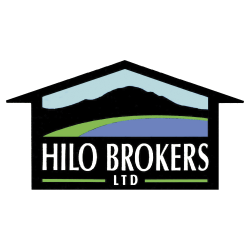 Our first ride took us from Hilo, Hawaii up the Hamakua Coast on the Mamaloha Highway that winds along the eastern side of the island. It was simply a stunning day. We couldn’t have asked for better.Our first detour along the way was the 4 mile scenic route along the old Mamaloha Highway. This is a beautiful detour that winds along lush forest, waterfalls, Onomea Bay, smoothie shack and a botanical garden.The road is almost completely covered by plants in some areas, giving a feeling as though you are riding through a living tunnel, and in a way you are — just watch for the moss growing on the road as it is very slippery and can lead to some un-fun sliding. Onomea bay is absolutely amazing (it can be seen in the first video linked at the end), and to think they once unloaded freight from ships there! After we enjoyed the view for a few minutes we continued on past the botanical gardens to What’s Shakin smoothie shack, where we met Tim Withers who owns and operates it with his wife Patsy. Here we interviewed Tim about his upcoming Baja races and his feelings about Hawaii motorcycle riding. After our fantastic smoothies we continued our ride along the coastal route before coming back to the highway. It was a true detour.As we continued along the highway enjoying the great view, wonderful asphalt and the gorgeous day, we came in contact with one of the few speed traps on the island. Between two 55 mph zones there is a 45mph zone. It isn’t very big so people don’t seem to slow down, so the police sit on the side of the road and enjoy the easy prey as they fly by. But we easily missed this trap as having lived here for quite some time we knew the secrets. Riding through the gulches can be a lot of fun — long wide sweeping turns allow a lot of space to lean and drag your knee. The rest of the ride was uneventful other than the great view and wonderful weather. We finished the ride at an amazing home overlooking an amazing bay. We relaxed and enjoyed the view before heading back. This was an amazing ride that covered approximately 120 miles. Although this could easily be added-to if you explored all the various side roads that wind through farms, forests and orchards, it was a fantastic ride in the middle of February. Stay tuned for the next entry that I can hopefully do this Sunday if the weather holds out. I also hope to take more stills, but this time our still camera broke at our first stop, and all we had is the video camera.